DOING HIS PART: "If the countries were united we wouldn't have this problem." 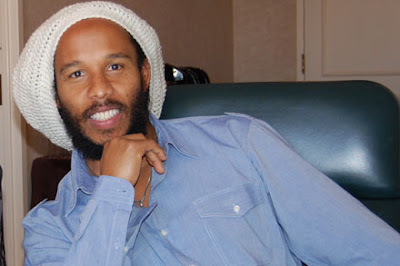 Outside the music spotlight, Grammy winner Ziggy Marley is busy pursuing a worthy cause that’s extremely close to his heart: joining the fight to help eradicate polio, a painful disease affecting thousands of kids around the world. “[Rotary] is a good organization. They're trying to help people, especially in Africa. That's a place that is very close to my heart. There are a lot of children suffering with polio there. I wanted to help,” he tells Essence of his work as a polio ambassador with Rotary International’s “End Polio Now” campaign, for which he donated the song “Personal Revolution” to raise funds. In other Ziggy Marley news, the 42-year-old musician has reportedly invested in some peace-and-quiet digs, purchasing a duplex in Los Angeles for a tidy US$1.1 million via real estate guru and reality TV star Reza Farahan (Shahs of Sunset). “That's right….with Reza's help, the reggae singer scored a brand new crib for $1.1 million!” reports TMZ.com, adding that Marley bought the 2,613-square-foot house (comprising two attached pads — each with two bedrooms and one bath) as an investment. Boasting rocking hardwood floors, granite counters, updated cabinetry and a giant backyard, the house is “a pretty rare find” that dates back to the 1920s and hasn't been on the market in over four decades. Ziggy is a true original and he is my favorite "Marley child." I like his style and I am pleased that he is supporting this cause. But he shouldn't just focus on Africa. Polio is a major problem in many other parts of the world.